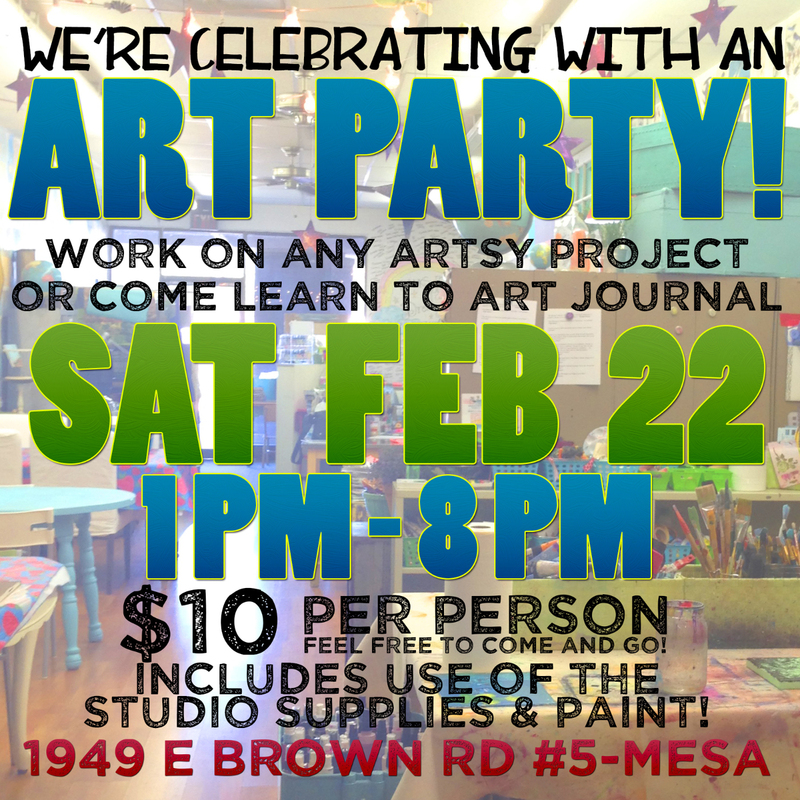 Join us as we celebrate with an art party this Saturday from 1-8PM! $10 per person come and go. Work on your own projects and use the studio supplies!